Barnacle Geese are long-distance migrants which we see wintering in the Netherlands, but which breed far North in the Russian Arctic. While migrating Northwards to the breeding grounds, the geese time their migration schedule along a ‘green wave’ of spring grass growth, arriving at the breeding grounds well before this food peak which then coincides with the chick growth period. Arriving early on the breeding grounds trades off with acquiring ample body stores to fuel migration and the incubation period. Individual geese differ in their migration strategy in order to balance this trade-off and maximize reproductive output while ensuring own survival. Traditionally, most geese would make use of a stopover site in the Baltic region for several weeks, but during the last decades more geese prolong their stay in the Netherlands and subsequently skip this Baltic stopover. Future climate change is expected lead to a stronger warming in the Arctic region than elsewhere, a process known as Arctic amplification. This could very well lead to a mismatch in food peaks along the migratory route of the Barnacle Geese, which would force the geese on an even tighter migration schedule. The question arises how well Barnacle Geese can cope with Arctic amplification, and how this would influence the trade-off between arriving early and with a good body condition and subsequent breeding success. The aim of this study, is therefore to quantify carry-over effects of different migration strategies on subsequent breeding success in the Arctic, and whether one of these strategies could be a way to cope with processes of Arctic amplification. 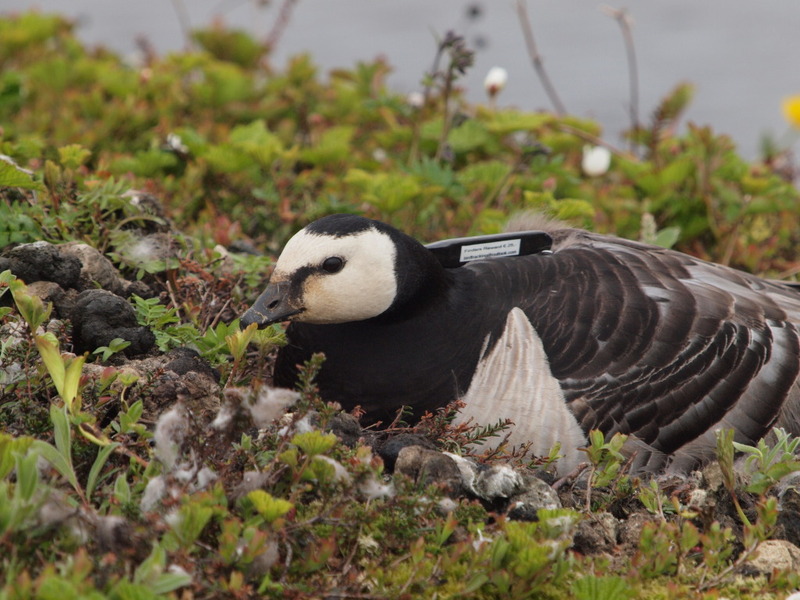 We will track Barnacle Geese to their breeding grounds, using a combination of geolocator and GPS loggers to determine the migration routes and schedules of the geese. On the breeding grounds in the Russian Arctic, we will follow the movements of the geese, measure body condition and monitor breeding success. 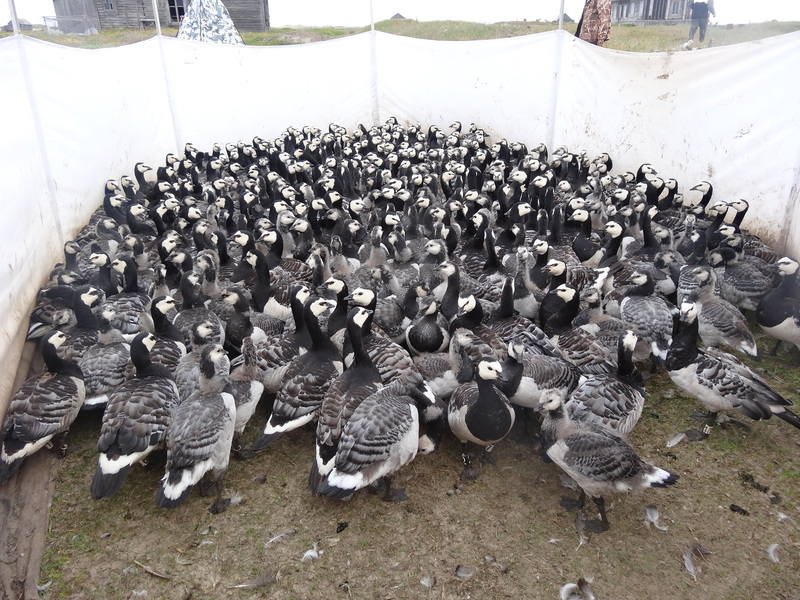 To see how climate warming in the Arctic will change environmental conditions with which the geese have to deal, we will study the reaction of vegetation on temperature increase on different sites along the geese’ migratory route, using an experimental setup with open-top chambers. Using a dynamic state migration model, we can than make predictions on how the geese will react to mismatches in food peaks to determine how they can cope with Arctic amplification. #8: Chasing geese – the first tracking results!